Above; 'Yellow 8' of 7. (Sturm)/ JG 4 assigned to Hans Gerd Neuhaus being replenished with fuel and munitions at Neuhausen during February 1945. 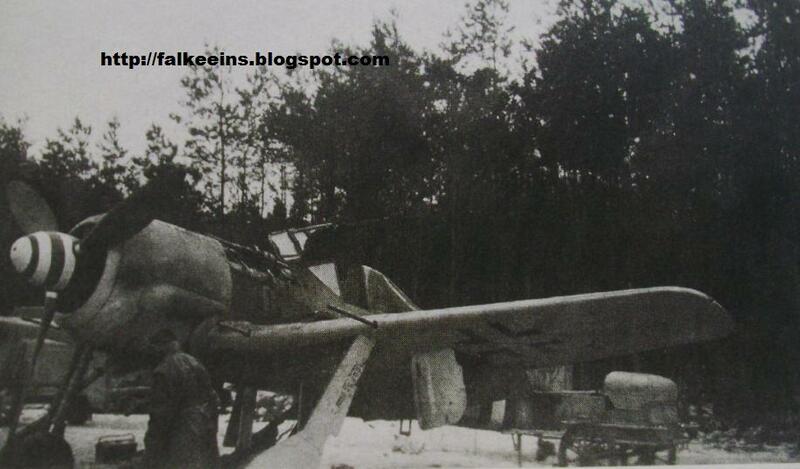 Note the black-white-black Reichsvertidigung fuselage bands and the snow on the ground..
By late January 1945, when the Soviets reached the Oder just sixty miles from Berlin, the Sturmgruppen suddenly had more pressing concerns than shooting down USAF bombers. ALL three Gruppen of Fw 190 bomber destroyers were deployed to the Eastern Front in short order, where their heavily armed and armoured Fw 190 A-8/R8s were committed on hazardous low-level strafing and bombing attacks on Soviet troops as the latter prepared their all-out assault on the Reichshauptstadt. During early February 1945 the 48 pilots and 38 aircraft of II. (Sturm)/JG 4 were located at Neuhausen in der Lausitz under Major Gerhard Schroeder flying operations in defence of Cottbus and the surrounding area. The results of operations flown from this field during the first week of February were mixed to say the least. 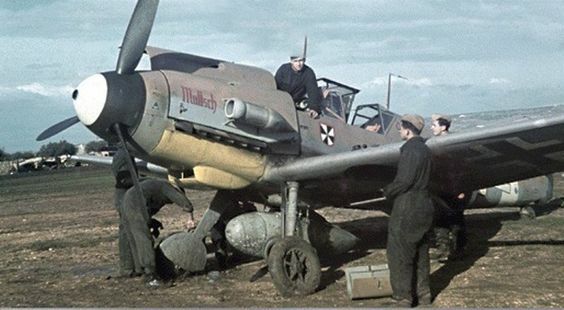 While the Fw 190s ventral racks now toted 250 kg bombs and their 20mm and 30mm cannon could inflict heavy losses on soft-skinned vehicles, horse-drawn columns and even tanks, it was often difficult to pick out valid targets on roads clogged with refugees fleeing westwards ahead of the Soviet advance. Soviet columns also quickly adopted the practise of using refugee Treks as human shields. Facilities for the Sturmgruppe at Neuhausen were rudimentary and the runway track was pitted and rutted and covered in puddles which grew ever-larger in the melting snow, resulting in a number of accidents.
" ..our runway track is little more than a lake which has already resulted in seven landing accidents over the last few days and further takeoffs have been prohibited. As the Soviets are now no more than kilometres away we have been given instruction on how to handle Panzerfaust bazooka rocket launchers.."
The picture above is taken from the album of Hans Gerd Neuhaus, formerly a nightfighter pilot who joined JG 4 during late 1944. The images from Neuhaus' album were published over three issues of the German magazine 'Flugzeug Classic' during 2010 and the image here is reproduced with the kind permission of FLUGZEUG CLASSIC editor Markus Wunderlich. Back issues and a chance to view an on-line sample of the current issue are available at the link. STOP PRESS - images taken down since originally posted they have subsequently been secured for Volume II of the JG 4 history currently at the printers !